Photo Gallery #65: Click edit pencil to get the selected gallery name. 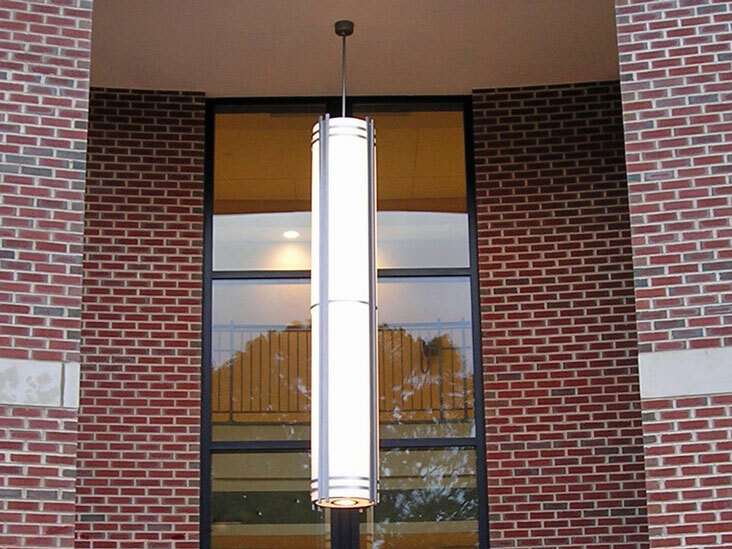 Fixture: Exterior pendants measure more than nine feet tall and include energy efficient fluorescent interior lamps and metal halide downlight. The welded aluminum housing provides a sturdy foundation while the bottom lens is hinged for easy relamping.